Steve Jobs: European artiste model. It’s hard not to love Peter Molyneux. He seems like a really nice guy, he’s got cool ideas, and he’s genuinely passionate about games and their potential in a way that very few people with his level of power in the industry seem to be. Here’s a 53-year-old man who wears a suits a bunch and is absolutely, 100-percent in love with video games and is always encouraging others to take pride in their craft and stretch their artistic limits. More than maybe any other developer, he seems to be constantly trying to find new things for games to be, and constantly pushing the medium to new, unusual places. The problem is that very few of those places have been good in about 12 years. That’s not really fair, honestly. Molyneux’s only made a small handful of games we’d call flat-out bad. But, ever since he became the head of Lionhead Studios and started being the lead developer of his own dreams, they’ve all been huge ideas that promised to change gaming and then profoundly didn’t. 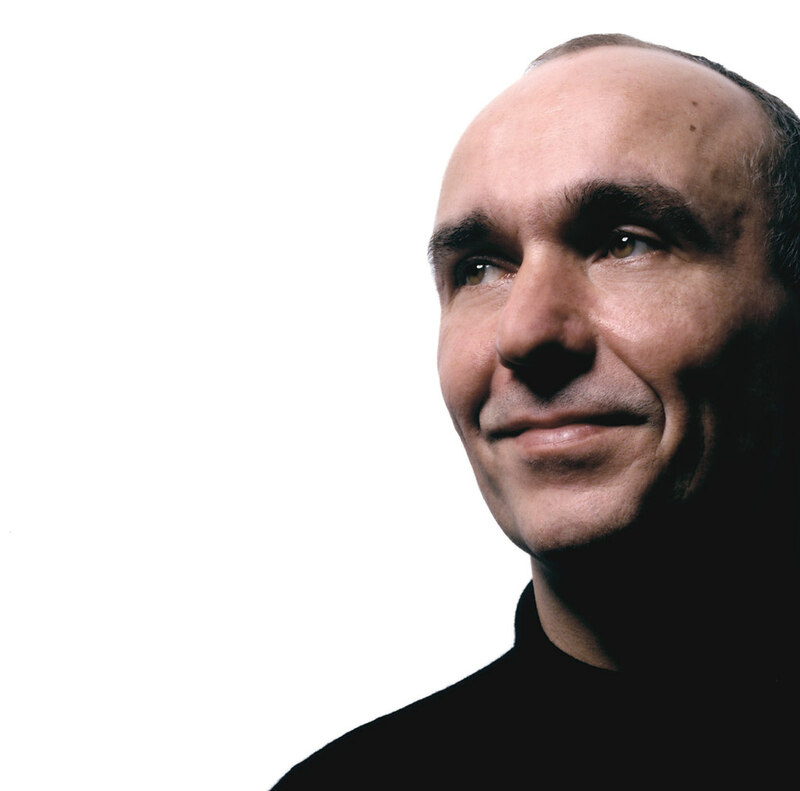 And so, let’s take a look at the strange, imaginative failures of Peter Molyneux (technically, Peter Molyneux, Officer of the British Empire– which is pretty cool). The most beautiful “endlessly throwing rocks at kids” simulator you’ll ever play. principles as a designer: a focus on myth and fairy tales, archetypal morality systems, and player choice. You could tell it was about myth, morality and choice because it was a game where you played as a God and was named after the binary morality you could choose from. It’s… not a subtle game. You literally have a devil on one shoulder and an angel on the other. Picking it up recently, it was surprising how well the aesthetic elements of it have held up. The visuals– which were incredible for 12 years ago –are clearly dated, but still have a good look to them, and a lot of little things (the game’s atmospheric use of lighting, the surprisingly good physics) help give it a sense of grandeur and scale that fits it well. For all the emphasis put on the man’s choices in regards to narrative or agency, it often goes unmentioned that Molyneux and his team have an incredible skill for making a game look and sound really, really good. The problem with Black and White is that its biggest weaknesses were what were supposed to be its biggest strengths. For all that it was supposed to put the God into God Games, there’s never really a sense of power. You can pick up your villagers and throw them around, but even getting a hut built requires resource-gathering and micromanaging. The average Sim City mayor feels more powerful and omnipotent than the divine hero of Black and White. This isn’t helped by the fact that the campaign casts you as a perpetual underdog battling more powerful gods, including crippling core gameplay elements for long sections, meaning that the player never has a chance to actually revel in their power. Similarly, the game’s morality system offers extreme choice, but no real reason to choose. Being pure evil is going to do nothing but screw you over (because if you can choose between keeping your followers well-fed and strong or burning them alive, one of those options is the smarter plan), whereas most of your benevolent actions are fairly dull and unnecessary (you’ll spend a lot of time and energy healing people who aren’t sick). Black and White isn’t a bad game, but that’s its core problem: its premise should be there for pure escapism and moral anarchy, but it’s ultimately a fairly slow and rote experience. The campaign is only five levels long, and the core mechanic of that campaign– convincing other villages to worship you –is fairly simple. There’s lots of toys (complex miracles, an AI that was breathtaking for its time, all sorts of questionable actions) but no real reason to use them. It’s a game driven by huge dreams and staggering ambition that, in the end, makes you miss the down-to-earth focus and ordinary professionalism of Sid Meier. SOMEONE’S been reading their Joseph Campbell! Oh lord, Fable. Not only could you write a novel on the gulf between Fable‘s ambition and the end product, that novel would honestly be fascinating and we would buy it and tell our friends to read it. Fable was like an artist set out to paint the Sistine Chapel and instead produced… we honestly can’t complete that metaphor because a work of art as workmanlike and fundamentally inoffensive but unexciting as Fable doesn’t get remembered by history. Don’t believe us– the previews for the game are still up, and every single feature listed is something that didn’t make it into the game. It’s Molyneux’s fault, honestly. 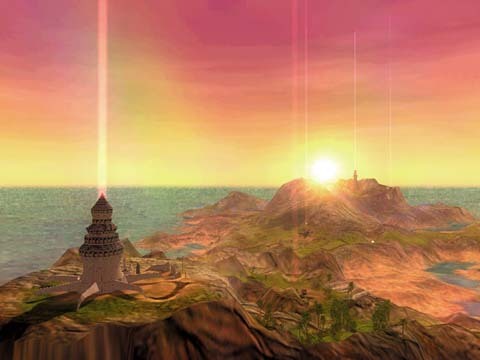 The man promised a game that was going to be like Morrowind crossed with Ocarina of Time, which you might recognize as our favorite games ever made. What makes Fable‘s hype somehow admirable instead of just embarassing is that it clearly came out of love: Molyneux was swept up by what videogames were doing and so enthralled by the potential of the medium that he forgot it was 2004 and not the magical future where computers can make games out of pure hope and whimsy. All criticisms aside, it’s impressive what this game got out of the original Xbox. In the end, Fable was a fairly pedestrian but ultimately fun game. The core morality mechanic– that your character’s morality was reflected in their face and body, meaning you could grow horns or sprout wings –was simplistic, but a really nice way of demonstrating the mythic, fantasy-hero sense of good and evil that the game was going for. Like all of Lionhead’s games, it was visually stunning and had a unified and lush style to it. At the time the fact that this “industry-changing, open-world, every-action-has-real-consequence, live-an-entire-other-life” game was a fairly linear fantasy action game was seen as hugely disappointing and shameful. Looking back, it’s honestly endearing. It’s clear that Molynuex wasn’t intentionally lying or trying to mislead (unlike some games), but that he was so excited by what he was doing and so hopeful about his game’s potential that he just wanted all of us to share in his excitement. This is why, despite having severe grievances with almost every game he’s done, we honestly really like the man: he’s so completely motivated by a love for his art, even when that might not be the best idea. When a developer literally, word-for-word, says that his project is “gonna be the best game ever,” it’s hard for their excitement not to be somewhat infectious. Look at that! An antagonist with realistic motives and character development! the only Fable game with a fairly interesting plot, real moral nuance, and interesting side characters, helped along by very well-used celebrity voice actors (Stephen Fry in particular stands out as a character who’s half Oscar Wilde, half Blackbeard). It has a really good villain and combines everything that worked in Fable I with a bigger scope, better combat, more open world, and, most importantly, a better sense of what it wanted to be. Its greatest strength is that there’s a real human connection. Whereas most of Molyneux’s other games can feel somewhat cold and distant, you really care about the characters of Fable II. The story is interesting, and has a lot more going on than “hero confronts bad guy.” The villain is a great example of how to write a villain that’s hate-able, disgusting, but also human and sympathetic (whereas the first game has, basically, The Devil and the third has a motiveless shadow monster). And there’s a real sense of epic scale to the game that was missing from the first. It’s still mostly linear, but the settings are varied, the spectacles are huge, and the story is suffused with a sense of grandeur and mystery. The ending of the game in particular, in which the player is faced with an almost impossible moral choice and in which the narrative pulls back from its huge epic adventure to some very simple human moments, is probably the best thing Molyneux’s ever done as an artist. It’s still not a masterpiece or a revolutionary game that changed everything, and if you don’t like some of the core Fable mechanics this game won’t win you over, but it’s a really solid action RPG that never disappoints. WHY DOES THIS MECHANIC EXIST? behind his decisions on this game. Then again, neither can he. At least some of its failures are interesting. There are a lot of ideas here no one ever thought of doing before. The problem, though, is that unlike his previous innovations, no one thought of them for good reason. When you pause the game you get teleported to a magical room where you can go to your armory, inspect a map, and all the other things that are normally on the pause menu. It’s a neat way of giving the pause menu narrative justification, except that it also adds at least three button presses and five seconds between basic actions like changing what spells you’re using, checking the map, and changing clothes. The fact that you actually overthrow the king halfway through and the game becomes focused on making decisions as a new king is cool, except that it means that there’s half as much RPG-action as the last games and the moral choices stop being part of your character’s growth and just become you listening to two arguments and then hitting a button. 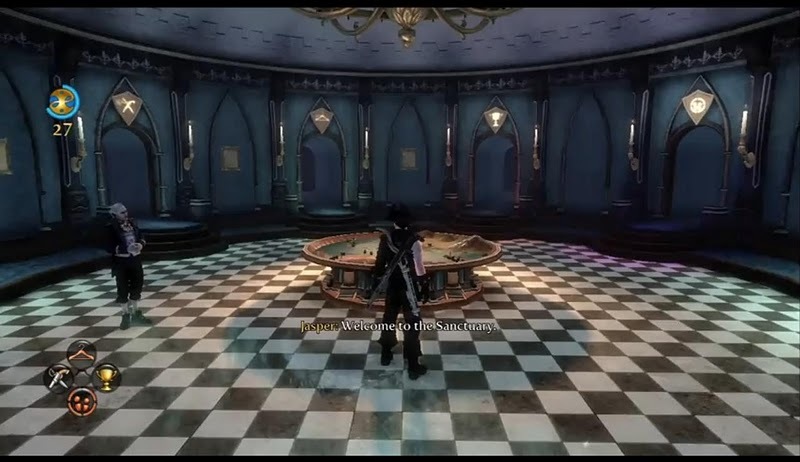 Fable III may honestly have the biggest ideas and the most dramatic changes of any game in the series, but the way in which it tampers around with core gameplay mechanics, not just of its franchise but of game design in general, is baffling and undermines the game’s potential. Remember that sad, interesting-looking old guy above? His replacement is a shadow monster who eats people. unimaginable amount of talent. Michael Fassbender, Stephen Fry, John Cleese, Simon Pegg, and Sir Ben Kingsley are all in this game. The only one you’ll even notice on a playthrough is John Cleese, and only because he has the most recognizable voice– Lionhead decided that the best use of a Monty Python alumnus was as the stiff-necked straight man to other people’s jokes. (Stephen Fry is recognizable, but only because his character returns, reduced from an interesting amoral rogue with to “man in top hat who represents the evil moral choice.”) The game is smaller, shorter, and easier, and the gameplay is identical to Fable II but simpler. Even the core mechanic of the Fable series, player choice, feels neglected. 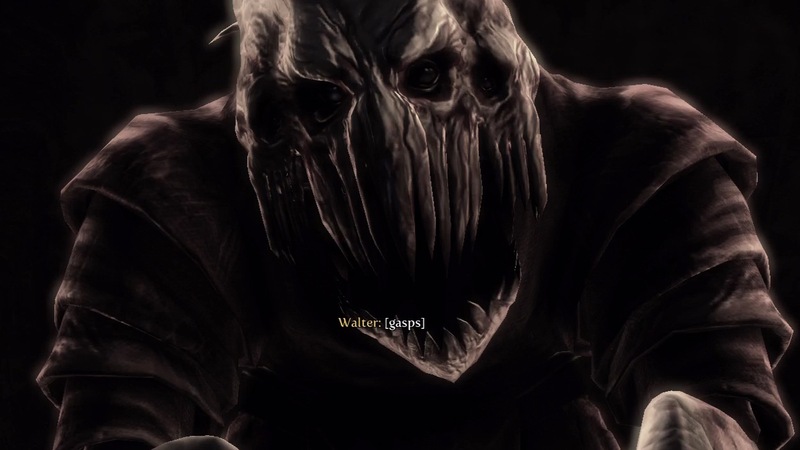 The Hero (who the game can’t seem to decide is a mute protagonist or not, as sometimes they speak and sometimes communicate in gestures) no longer changes depending on their skills and alignment, and the idea of choosing who you’ll be has no impact when it’s almost impossible not to have every skill maxed out by the end of the game. As much as people criticize Molyneux for his overarching ambition. 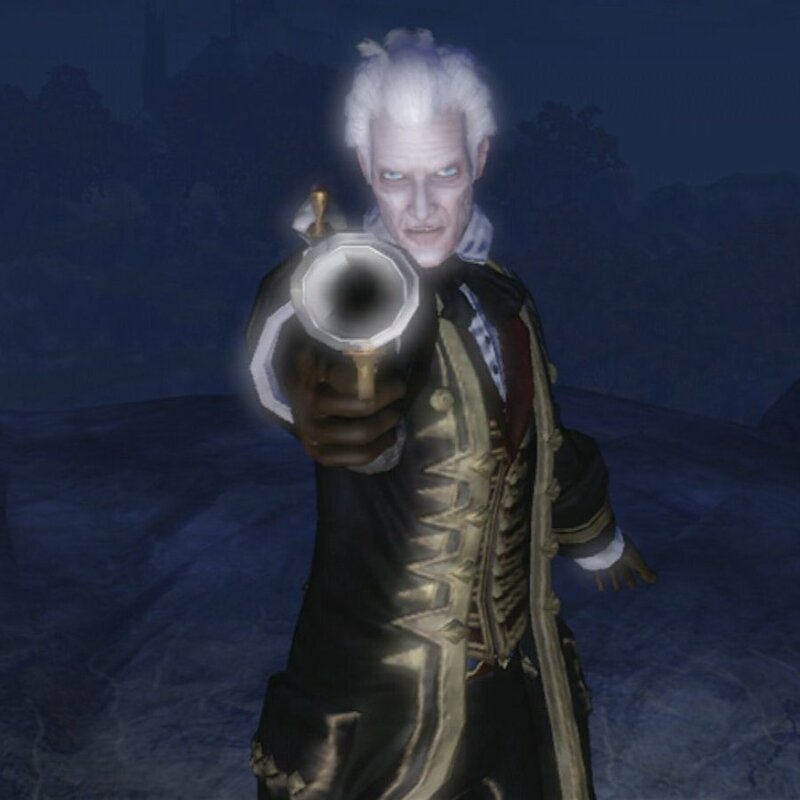 Fable III, though, shows why that’s not fair. Fable III is the only Lionhead game not to feel ambitious, and it suffers for it. Whereas the faults of Fable and Fable II felt somehow excused in the face of how much they were trying, Fable III‘s smaller scale and relative polish just makes its faults seem ugly. The game’s not much worse than the first Fable, but because it aims so much lower it’s a lot harder to love. We love you, Peter, but there’s no way we weren’t using this picture. In all fairness, Fable: The Journey is the only game on this list we haven’t played, because we’d have to be much more successful bloggers before we buy a Kinect (and, regardless of everything we’re about to say, it’s shameful that Lionhead used a Kinect-exclusive spinoff to tie up loose ends and explain mysteries that had been running through the entire trilogy). But that’s sort of the point: it was a rail-shooter for the Kinect. 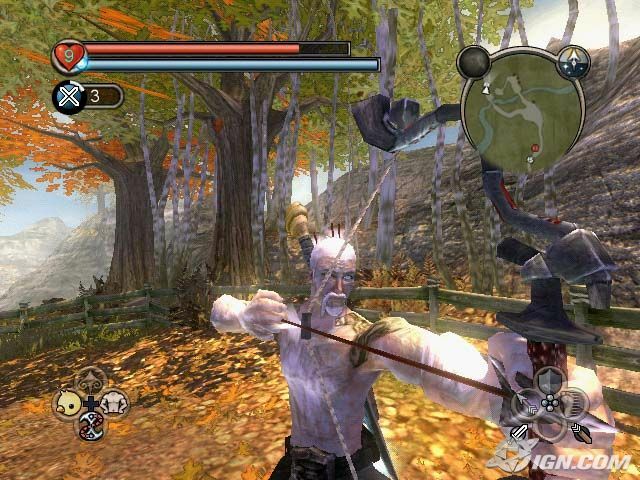 It got mixed reviews, Molyneux’s promise that “it’s not on rails!” was proven to be a flat-out lie rather than onverenthusiasm, and the general critical consensus was that it was a good story– one of the best in the series –undermined by mediocre gameplay, dodgy motion mechanics, and an unnecessary reliance on the Kinect. We can’t say for certain, but there’s two good pieces of evidence for the latter. The first is that Fable Heroes, an Xbox-Live side-scrolling beat-em-up, exists. The second is Milo. Whether or not it’s a good idea is debatable, but it’s definitely a new one. Project Milo was a project Molyneux showed off at E3 2009. 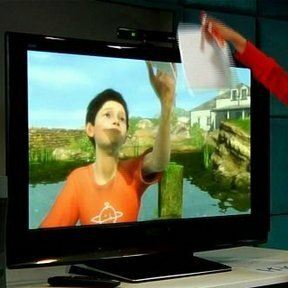 It was intended to use the capabilities of the Kinect to really make the player feel like an active participant in the game’s world– you would interact with a ten-year-old boy, speak to him with the built in microphone, teach him to skip rocks using the motion sensor, and generally play with things that were unique to the Kinect (which, it should be noted, rail shooters are not). It built on AI from Black and White, it drew from Fable‘s idea of guiding the life of a single person and that person’s dog. By all accounts, Molyneux looked at the Kinect and thought of a game that he wanted to make that could never exist without the technology. And then it was announced that Project Milo had never been intended for release as a game– despite numerous people on the development team saying otherwise –and was instead a tech demo. Technology used to create it was used to make Fable: The Journey instead. And that’s what makes Fable: The Journey so depressing. We know that it’s not the game Molyneux wanted to make. We know that when he saw the Kinect he had big, bold ideas of how to use it in new ways, just like how the Xbox’s processing power and memory space inspired the huge potential of Fable. But the game he wanted to make was the kind of strange, small-scale, offbeat thing he would have made before he started working for Microsoft, and it wouldn’t have helped convince people the Kinect was worth buying. And so instead, the man’s dream franchise got shunted into an out-of-place linear shooter game designed to sell hardware. We can get mad at Molyneux for Fable III, but Fable: The Journey just inspires pity: one of gaming’s most imaginative and enthusiastic dreamers, putting out a product he didn’t want to in order to sell hardware. That’s not going to happen again, though. Molyneux has left Microsoft, gone independent, and is making games following his own visions. He recently announced and financed a game on Kickstarter and– while we’re skeptical about him using a platform based on the idea of “you need to deliver on your promises” –we wish him luck. The man is one of gaming’s true dreamers and we can’t help but love him, even when he stumbles. I hear so much hate for the guy, it’s nice to read a sympathetic piece. Also, what’s a “non-casual” gamer? Unless you’re playing video games as a job, I’d think any game is a mostly casual hobby.